Home > Blog > Hi March! We're not quite sure how it's March already but we're not complaining, Spring is now in sight! We've got a pretty long to-do list for this month, including finalising a new summer/travel collection, working on new additions to our wedding range, and introducing a brand new collection of enamel pin badges, embroidered patches and wash bags! Mother's Day is at the end of the month and we are also busy adding a whole bunch of new items that your mama will love! New month means a new birthstone! 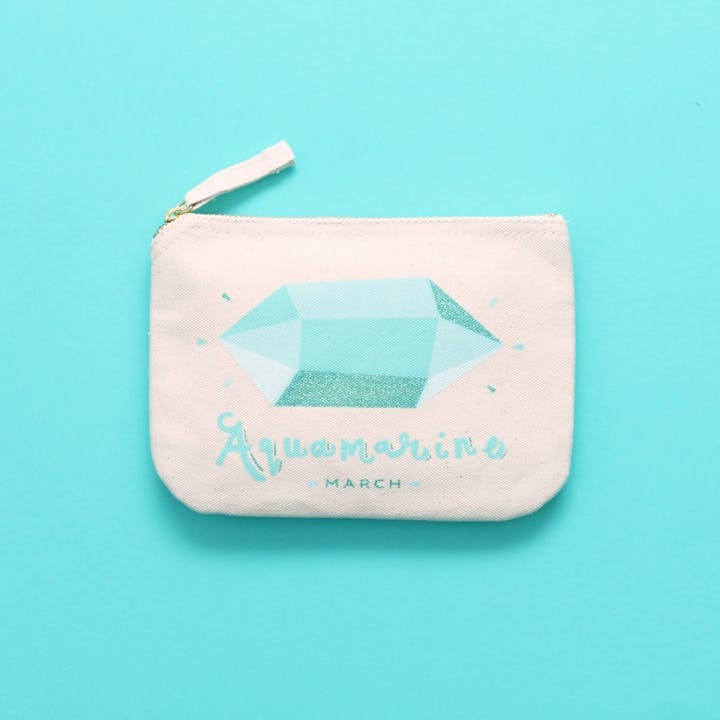 If you've got a March birthday or know someone who has then do take a peek at our pretty Aquamarine pouches! We absolutely love the colours in this one! 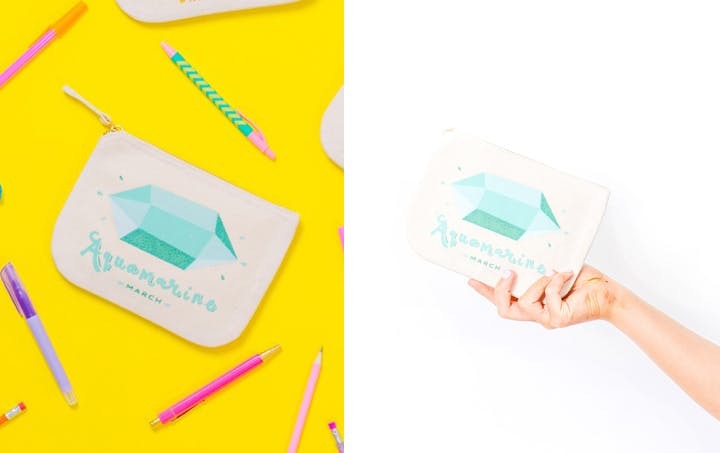 Our sparkly birthstone pouches make the perfect gift! Fill with little treats and hey presto, you're winning at gift giving! These little pouches are super handy, perfect for storing all sorts of bits and bobs, from make up to money and all other handbag essentials. They also make a rather lovely pencil case! Check out the awesome Aquamarine by clicking here. Wishing all March babies a wonderful birthday and hope everyone else has a great month!